When it comes to country music, let’s admit it that there is a very wide selection of great singers and song writers to enjoy. Of course there are always stand outs, and country music superstar Brad Paisley is definitely considered one of those special stand outs. While we see many country music performers come and go, for what ever reason they only last one or two albums, Brad Paisley is one that is here to stay. Time and time again, Brady Paisley has shown that he has what it takes to be a long lasting icon in country music. From his humble beginnings back in 1999, he’s definitely come a long way. In fact he just put out his 11th studio album back in April of 2017 called Love and War. This 2018 year looks to be a busy one for the country singer / songwriter. His 2018 tour is taking shape and it appears to have Brad Paisley, along with his supporting acts, quite busy right from the get go in late January. During his tour, supporting acts include Dustin Lynch, Chase Bryant & Lindsay Ell and it also planned out that Paisley will be performing in several country music festivals including CountryFest, Country Concert At Hickory Hill Lakes, Country Crossings Music Festival, San Antonio Stock Show And Rodeo and more that haven’t even been announced yet. 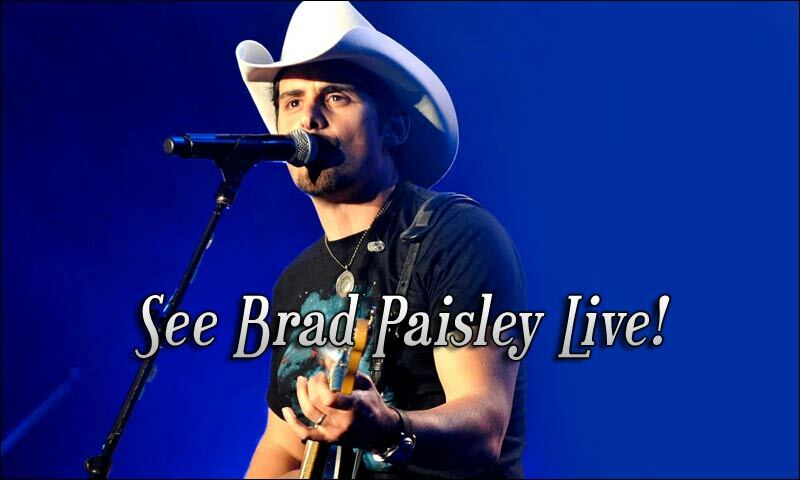 Check below for all the latest Brad Paisley tour dates, links to look for tickets, plus some cool music videos. Brad Paisley will be on the road in 2018 with Dustin Lynch, Chase Bryant & Lindsay Ell. Don’t miss them perform at a venue near you! Check back to see if Brad Paisley adds any more dates to his 2018 tour.